You are currently browsing the Suburban Homesteading – Frugal Living blog archives for March, 2009. Every day we are bombarded with bad news about the economy, layoffs, and financial crisis – the negativity is overwhelming. As many of us juggle to make ends meet, we hear more and more that people should simplify, become more self-reliant, more self-sufficient, even become modern day homesteaders. But what does that mean? How does a normal suburban family make it all work on a very normal sized city or town lot? That’s what SuburbanHomesteading.com is all about – learning to become modern day homesteaders right where we live. You’ll not only discover how suburban families can live this newly emerging lifestyle, you’ll also discover information, resources, tools, links, products, recommended books and lifestyle guides that can help make this lifestyle a reality…plus so much more as you visit the various pages of our site. But, before you “dig in” to SuburbanHomesteading.com, we want to help you understand the new and sometimes confusing terms you’ll encounter — terms which are too often misunderstood. Homesteading is a lifestyle of simple, agrarian self-sufficiency. ‘Homesteader’ applies to anyone who chooses to live a sustainable, self-sufficient lifestyle. ‘Suburban homesteading’, can be viewed as a simple living lifestyle, incorporating small-scale livestock raising and gardening, home food production and storage into suburban or city living. Self-sufficiency or self-reliance refers to doing for one’s self and one’s family; not requiring outside help, support, or interaction for survival; it is a type of personal or collective independence. Simple living or voluntary simplicity is a way of living that minimizes the all-encompassing (and often stressful) pursuit of wealth and consumption. It rejects the idea that ‘more-is-better’ and embraces the idea that you can have a better, more tranquil life with less. Voluntary simplicity is a way of living that is outwardly more simple and inwardly more rewarding — a way of “being” that brings our most authentic and alive self into conscious living. As we launch ‘SuburbanHomesteading.com’ to serve the ever-growing population of modern-day homesteaders, I think back to the way previous generations lived and survived the difficult times in our nation’s history. With every major struggle, including the Great Depression, we, as individuals and families, have had to take steps to care for ourselves. I think about the Victory Gardens of WWI, the frugality during the Dust Bowl era and food rationing during WWII. Our citizens learned much during these times. But, too often, we ignore the old ways; much to our peril. SuburbanHomesteading.com won’t be a diary or journal or musings of my life, although you will see some references to what I am doing. Rather, this site is all about YOU. It’s a place where you, the 21st Century Homesteader, can come for information, ideas, inspiration and encouragement as we all travel down an unknown path to an uncertain future. None of us knows how long this current crisis or its aftermath will last, but what I am sure of is that each and every person who learns to take care of themselves and their family — who learns to focus on the positive and not dwell on the negative — will ultimately be better off. My challenge to you as you enter this new realm of simplicity and calm is to focus on what’s truly important in your life – family, friends, your health and doing for yourself. Leave the ugliness of the outside world…outside. Make a new world for yourself, regardless of your situation. One that is serene and slow, enjoyable and beautiful in its simplicity. Step out of the fast lane and onto the slow path. But for many Americans, the appeal of backyard gardening isn’t in its history – it’s in the savings. Doiron spent nine months weighing and recording each vegetable he pulled from his 1,600-square-foot garden outside Portland, Maine. After counting the final winter leaves of Belgian endive, he found he had saved about $2,150 by growing produce for his family of five instead of buying it. Adriana Martinez, an accountant who reduced her grocery bill to $40 a week by gardening, said there’s peace of mind in knowing where her food comes from. And she said the effort has fostered a sense of community through a neighborhood veggie co-op. “We’re helping to feed each other and what better time than now?” Martinez said. 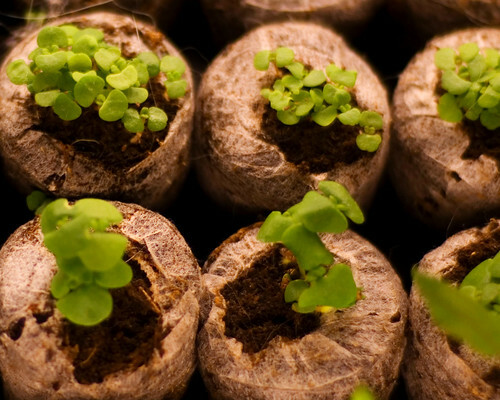 Read More on ways to save potentially thousands of dollars by growing your own. A modern day urban farmer uses vertical growing methods to turn small lots into big producers and bring fresh produce to thousands of local residents. When most people think of farms, they think flat, endless fields of corn or wheat in the heartland of the American Midwest. When former professional basketball player Will Allen thinks of farms, he thinks community centers and, maybe later, skyscrapers. Allen, 59, is CEO of Growing Power, an organization that built a farm right in the middle of a Milwaukee residential neighborhood to help feed the community’s residents affordably in a practice known as urban farming. Although the farm is relatively tiny at 2 acres, it can produce enough food to sustain 2,000 people.